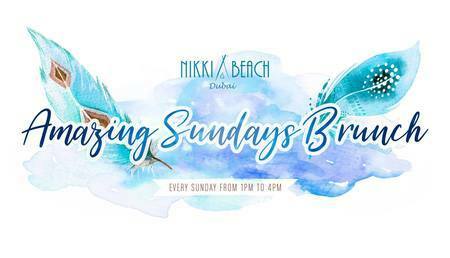 Venue: Nikki Beach Dubai, Pearl Jumeira, Po Box 8286, Dubai, United Arab Emirates. Tickets: Food & Soft Drink Package: AED 265.00, Wine & Beer Package: AED 395.00, Cocktails, Spirits, Wine & Beer Package: AED 465.00. Sundays are about eating well and celebrating with friends. Nikki Beach's world famous brunch will satisfy your cravings with delicious international cuisine, creative cocktails and the finest Champagne. Don't forget your complimentary pool bed after brunch! Food and Soft Drink Package - 265 AED. Wine and Beer Package - 395 AED. Cocktails, Spirits, Wine and Beer Package - 465 AED. Brunch guests enjoy our Apero Time offer from 12PM to 1PM and 4PM to 6PM with special prices on House Beverages!